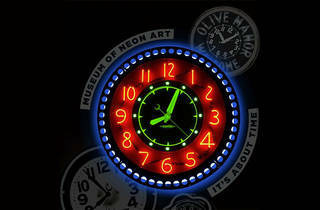 In a seemingly self-aware nod to its prolonged moving process, the Museum of of Neon Art presents "It's About Time," its first exhibition in the new Glendale space. 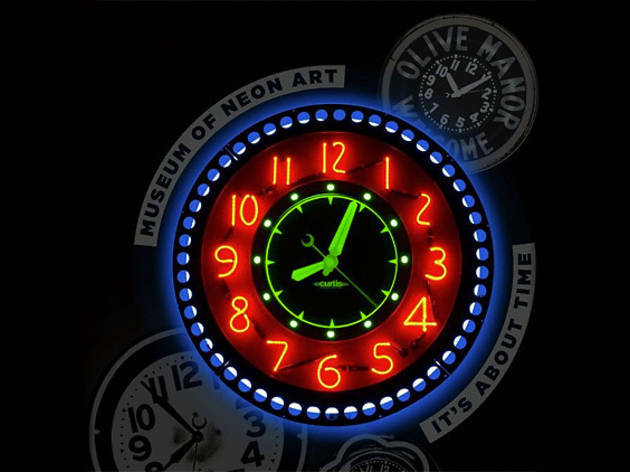 Though the full museum won't be open until later this year (hopefully), this show will fill the main lobby with neon clocks from the collections of Curtis Stimpson, Larry Albright and Eric Evavold as well as photographs by Glenn B. Ward of neon in Glendale from the '40s to '70s.